The Holy Eucharist - The actual body, blood, soul, and divinity of Jesus Christ, present right now on every altar of every Catholic Church in the entire world. The Communion Host that every Catholic receives on his or her tongue at every Mass is the most precious gift of Jesus Christ to the world that He could give - Himself. At the Holy Mass, ordinary bread and wine are transfigured into His sacred Body and Blood at the command of the priest, who has the authority from Jesus Himself to do this - "Do THIS in memory of Me" - Jesus said, "THIS" meaning to do just like Jesus did; Consecrate a piece of bread by saying - "This IS My Body and "This IS My Blood". We all know what the meaning of the word "IS" means - it's the 3rd person singular present indicative of the word "be", which means, according to the dictionary, "to have presence in the realm of perceived reality; exist; live." So when Jesus said "This IS My Body", he was saying that His body now existed or lived in place of the former piece of bread, and likewise for the wine. The word "symbolic" that so many good people seem to see in the bible as regards the Eucharist just isn't there. The exact same argument that atheists use to deny the real presence of God in the form of Jesus Christ is the EXACT same argument that so many Christians use to deny the real presence of Jesus in the Eucharist; in other words, since Jesus looked like an ordinary man, then He can't be God, because I can't perceive his Godhead with my five senses; and since the consecrated host looks just like an unconsecrated host, then it can't be Jesus, because I can't perceive its Godhead with my five senses. But St. Paul told us in 2 Corinthians 5:7 that we WALK BY FAITH, NOT BY SIGHT! In John 6:66 (666! ), the very first protestants said "This is a hard saying, who can believe it? ", and walked away from Jesus. But Catholics know, or should know, that the Eucharist at the Last Supper IS Jesus Christ, and that exact same sacrifice, through time and space is re-presented at each and every Holy Mass in the world, every day. It is not a "re-sacrificing" of Jesus like so many people think. Rather, it is the same, ongoing sacrifice which can never be repeated, because it never ends. "For from the rising of the sun to its setting my name is great among the nations, and in every place incense is offered to my name, and a pure offering; for my name is great among the nations, says the LORD of hosts. But you profane it when you say that the LORD's table is polluted, and the food for it may be despised." So it's a PURE offering (Jesus Himself! ), with incense, offered continuously around the world, and people profane it by saying it's "idol worship"...What other ritual could Malachi possibly be talking about OTHER THAN THE HOLY MASS? Below are some GREAT quotes on the Eucharist! ♥ "Lord Jesus, Who in the Eucharist make your dwelling among us and become our traveling companion, sustain our Christian communities so that they may be ever more open to listening and accepting your Word. May they draw from the Eucharist a renewed commitment to spreading in society, by the proclamation of your Gospel, the signs and deeds of an attentive and active charity,"
♥ "It is invaluable to converse with Christ, and leaning against Jesus' breast like his beloved disciple, we can feel the infinite love of his Heart. We learn to know more deeply the One who gave Himself totally, in the different mysteries of his divine and human life, so that we may become disciples and in turn enter into this great act of giving, for the glory of God and the salvation of the world. Through adoration, the Christian mysteriously contributes to the radical transformation of the world and to the sowing of the Gospel. Anyone who prays to the Savior draws the whole world with him and raises it to God. Those who stand before the Lord are therefore fulfilling an eminent service. They are presenting to Christ all those who do not know him or are far from him; they keep watch in his presence on their behalf,"
♥ “Can you feel the fragrance of Paradise which diffuses Itself from the Tabernacle?" ♥ "Do grant, oh my God, that when my lips approach Yours to kiss You, I may taste the gall that was given to You; when my shoulders lean against Yours, make me feel Your scourging; when my flesh is united with Yours, in the Holy Eucharist, make me feel Your passion; when my head comes near Yours, make me feel Your thorns; when my heart is close to Yours, make me feel Your spear." ♥ "This food we call the Eucharist, of which no one is allowed to partake except one who believes that the things we teach are true, and has received the washing for forgiveness of sins and for rebirth, and who lives as Christ handed down to us. For we do not receive these things as common bread or common drink; but as Jesus Christ our Savior being incarnate by God's Word took flesh and blood for our salvation, so also we have been taught that the food consecrated by the Word of prayer which comes from him, from which our flesh and blood are nourished by transformation, is the flesh and blood of that incarnate Jesus." ♥ "God dwells in our midst, in the Blessed Sacrament of the altar." ♥ "Receive Communion often, very often...there you have the sole remedy, if you want to be cured. Jesus has not put this attraction in your heart for nothing..."
♥ "The guest of our soul knows our misery; He comes to find an empty tent within us - that is all He asks." ♥ "And just as He appeared before the holy Apostles in true flesh, so now He has us see Him in the Sacred Bread. Looking at Him with the eyes of their flesh, they saw only His Flesh, but regarding Him with the eyes of the spirit, they believed that He was God. In like manner, as we see bread and wine with our bodily eyes, let us see and believe firmly that it is His Most Holy Body and Blood, True and Living. ♥ "In each of our lives Jesus comes as the Bread of Life - to be eaten, to be consumed by us. This is how He loves us. Then Jesus comes in our human life as the hungry one, the other, hoping to be fed with the Bread of our life, our hearts by loving, and our hands by serving. In loving and serving, we prove that we have been created in the likeness of God, for God is Love and when we love we are like God. This is what Jesus meant when He said, "Be perfect as your Father in heaven is perfect." ♥ "O eternal Trinity, You are a deep sea in which the more I seek the more I find, and the more I find, the more I seek to know You. You fill us insatiably, because the soul, before the abyss which You are, is always famished; and hungering for You, O eternal Trinity, it desires to behold truth in Your light. As the thirsty heart pants after the fount of living water, so does my soul long to leave this gloomy body and see You as You are, in truth. ♥ “O unfathomable depth! O Deity eternal! O deep ocean! What more could You give me than to give me Yourself? You are an ever-burning Fire; You consume and are not consumed. By Your fire, You consume every trace of self-love in the soul. You are a Fire which drives away all coldness and illumines minds with its light, and with this light You have made known Your truth. Truly this light is a sea which feeds the soul until it is all immersed in You, O peaceful Sea, eternal Trinity! The water of this sea is never turbid; it never causes fear, but gives knowledge of the truth. This water is transparent and discloses hidden things; and a living faith gives such abundance of light that the soul almost attains to certitude in what it believes. ♥ “You are the supreme and infinite Good, good above all good; good which is joyful, incomprehensible, inestimable; beauty exceeding all other beauty; wisdom surpassing all wisdom, because You are Wisdom itself. Food of angels, giving Yourself with fire of love to men! You are the garment which covers our nakedness; You feed us, hungry as we are, with Your sweetness, because You are all sweetness, with no bitterness. Clothe me, O eternal Trinity, clothe me with Yourself, so that I may pass this mortal life in true obedience and in the light of the most holy faith with which You have inebriated my soul." ♥ "When we go before Jesus in the Blessed Sacrament we represent the one in the world who is in most need of God’s Mercy." 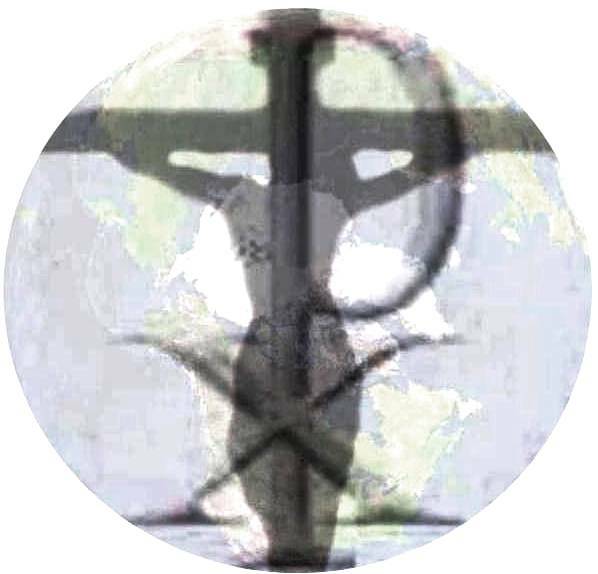 We "Stand in behalf of the one in the world who does not know Christ and who is farthest away from God and we bring down upon their soul the Precious Blood of The Lamb." ♥ "If I can give you any advice, I beg you to get closer to the Eucharist and to Jesus... We must pray to Jesus to give us that tenderness of the Eucharist." ♥ “How many of you say: I should like to see His face, His garments, His shoes. You do see Him, you touch Him, you eat Him. He gives Himself to you, not only that you may see Him, but also to be your food and nourishment." ♥ "Christ held Himself in His hands when He gave His Body to His disciples saying: 'This is My Body.' No one partakes of this Flesh before he has adored it." ♥ I hunger for the bread of God, the flesh of Jesus Christ ...; I long to drink of his blood, the gift of unending love. ♥ By our little acts of charity practiced in the shade we convert souls far away, we help missionaries, we win for them abundant alms; and by that means build actual dwellings spiritual and material for our Eucharistic Lord." ♥ "It is not to remain in a golden ciborium that He comes down each day from Heaven, but to find another Heaven, the Heaven of our soul in which He takes delight." ♥ "You must open a little, or rather raise on high your corolla so that the Bread of Angels may come as divine dew to strengthen you, and to give you all that is wanting to you." ♥ "If angels could be jealous of men, they would be so for one reason: Holy Communion." ♥ "When you have received Him, stir up your heart to do Him homage; speak to Him about your spiritual life, gazing upon Him in your soul where He is present for your happiness; welcome Him as warmly as possible, and behave outwardly in such a way that your actions may give proof to all of His Presence." ♥ "To keep me from sin and straying from Him, God has used devotion to the Sacred Heart of Jesus in the Blessed Sacrament. My life vows destined to be spent in the light irradiating from the tabernacle, and it is to the Heart of Jesus that I dare go for the solution of all my problems,"
♥ "How I loved the feasts!.... I especially loved the processions in honor of the Blessed Sacrament. What a joy it was for me to throw flowers beneath the feet of God!... I was never so happy as when I saw my roses touch the sacred Monstrance..."
♥ "O Sisters, if we would only comprehend the fact that while the Eucharistic Species remain within us, Jesus is there and working in us inseparably with the Father and the Holy Spirit and therefore the whole Holy Trinity is there...,"
♥ "Words cannot express the perfection of his adoration. If Saint John leaped in the womb at the approach of Mary, what feelings must have coursed through Joseph during those six months when he had at his side and under his very eyes the hidden God! If the father of Origin used to kiss his child during the night and adore the Holy Spirit living within Him, can we doubt that Joseph must often have adored Jesus hidden in the pure tabernacle of Mary? How fervent that adoration must have been: My Lord and my God, behold your servant! No one can describe the adoration of this noble soul. He saw nothing, yet he believed; his faith had to pierce the virginal veil of Mary. So likewise with you! Under the veil of the Sacred Species your faith must see our Lord. Ask St. Joseph for his lively, constant faith." ♥ "The Blessed Sacrament is indeed the stimulus for us all, for me as it should be for you, to forsake all worldly ambitions. Without the constant presence of our Divine Master upon the altar in my poor chapels, I never could have persevered casting my lot with the lepers of Molokai; the foreseen consequence of which begins now to appear on my skin, and is felt throughout the body. Holy Communion being the daily bread of a priest, I feel myself happy, well pleased, and resigned in the rather exceptional circumstances in which it has pleased Divine Providence to put me." ♥ "If Christ did not want to dismiss the Jews without food in the desert for fear that they would collapse on the way, it was to teach us that it is dangerous to try to get to heaven without the Bread of Heaven." ♥ It is there in His Eucharist that He says to me: "I thirst, thirst for your love, your sacrifices, your sufferings. I thirst for your happiness, for it was to save you that I came into the world, that I suffered and died on the Cross, and in order to console and strengthen you I left you the Eucharist. So you have there all My life, all My tenderness." ♥ "Jesus in the Blessed Sacrament is the Living Heart of each of our parishes,"
♥ "The Lord ‘hath set His tabernacle in the sun,’ says the Psalmist. The sun is Mary’s heart." ♥ "O what a wonderful and intimate union is established between the soul and You, O lovable Lord, when it receives You in the Holy Eucharist! Then the soul becomes one with You, provided it is well disposed by the practice of the virtues, to imitate what You did in the course of Your life, Passion, and death." ♥ "In order to be like You, who are always alone in the Blessed Sacrament, I shall love solitude and try to converse with You as much as possible. Grant that my mind may not seek to know anything but You, that my heart may have no longings or desires but to love You. When I am obliged to take some comfort, I shall take care to see that it be pleasing to Your Heart. In my conversations, O divine Word, I shall consecrate all my words to You so that You will not permit me to pronounce a single one which is not for Your glory.... When I am thirsty, I shall endure it in honor of the thirst You endured for the salvation of souls.... If by chance, I commit some fault, I shall humble myself, and then take the opposite virtue from Your Heart, offering it to the eternal Father in expiation for my failure. All this I intend to do, O Eucharistic Jesus, to unite myself to You in every action of the day." ♥ Jesus, what made You so small? LOVE! ♥ "The faith of the Church is this: That one and identical is the Word of God and the Son of Mary, Who suffered on the Cross, Who is present in the Eucharist, and Who rules in Heaven,"
♥ "Lord Jesus Christ, pierce my soul with your love so that I may always long for you alone, who are the bread of angels and the fulfillment of the soul's deepest desires. May my heart always hunger for you, so that soul may be filled with the sweetness of your presence"
♥ "The Eucharist is the supreme proof of the love of Jesus. After this, there is nothing more but Heaven itself." ♥ "On the altar you are looking at the same thing as you saw there last night. You have not heard, however, what this is, what it signifies, or about the greatness of the reality of which it is a sacrament. Your eyes are looking at bread and cup. This is the evidence before your physical sight. But your faith must be instructed concerning it - this bread being Christ 's Body and the cup containing His Blood. Though perhaps these words may be enough to initiate faith, faith must be further instructed in accordance with the Prophet's words: 'Believe that you may understand' ( Is 7:9). ♥ "All expressions of love, even the highest and the most profound, are verified in the Eucharist. Thus, it is a Love that is crucified, a Love that unites, a Love that adores, a Love that contemplates, a Love that prays, a Love that delightfully satisfies,"
♥ "For One in such a lofty position to stoop so low is a marvel that is staggering. What sublime humility and humble sublimeness, that the Lord of the Universe, the Divine Son of God, should stoop as to hide Himself under the appearance of bread for our salvation! Behold the humble way of God, my brothers. Therefore, do not hold yourselves to be anything of yourselves, so that you may be entirely acceptable to One Who gives Himself entirely to you." ♥ "In the presence of Jesus in the Holy Sacrament we ought to be like the Blessed in heaven before the Divine Essence." ♥ "The holy Eucharist contains the whole spiritual treasure of the Church, that is, Christ himself.... He who is the living bread, whose flesh, vivified by the Holy Spirit and vivifying, gives life to men,"
♥ "God is as really present in the consecrated Host as He is in the glory of Heaven,"
♥ "Happy is the soul that knows how to find Jesus in the Eucharist, and the Eucharist in all things!,"
♥ "O Jesus in the Blessed Sacrament, I would like to be filled with love for You; keep me closely united with You, may my heart be near to Yours. I want to be to You like the apostle John. O Mary of the Rosary, keep me recollected when I say these prayers of yours; bind me forever, with your rosary, to Jesus of the Blessed Sacrament. Blessed be Jesus, my love..,"
♥ "O Jesus, here present in the Holy Eucharist, Thy Heart is all aglow with love for me! Thou dost call me, Thou dost urge me to come to Thee." ♥ "When the Sisters are exhausted, up to their eyes in work; when all seems to go awry, they spend an hour in prayer before the Blessed Sacrament. This practice has never failed to bear fruit: they experience peace and strength." 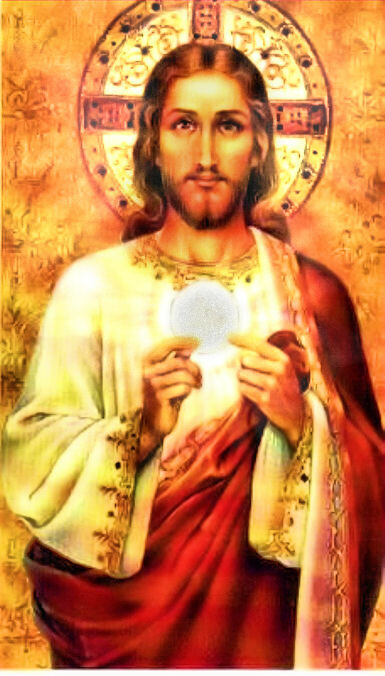 ♥ "Do not think that Jesus Christ is forgetful of you, since he has left you,as the greatest memorial and pledge of his love, himself in the Most Holy Sacrament of the Altar." ♥ "Eternal Son of the living God, Whom I here acknowledge really present! I adore Thee with all the powers of my soul. Prostrate with the Angels in the most profound reverence, I love Thee, O my Saviour, Whom I now behold on the throne of Thy love! O dread Majesty, O infinite Mercy! Save me, forgive me! Grant that I may never more be separated from Thee."